Series 1917 Legal Tender Bank Note Value, Information and Worth. 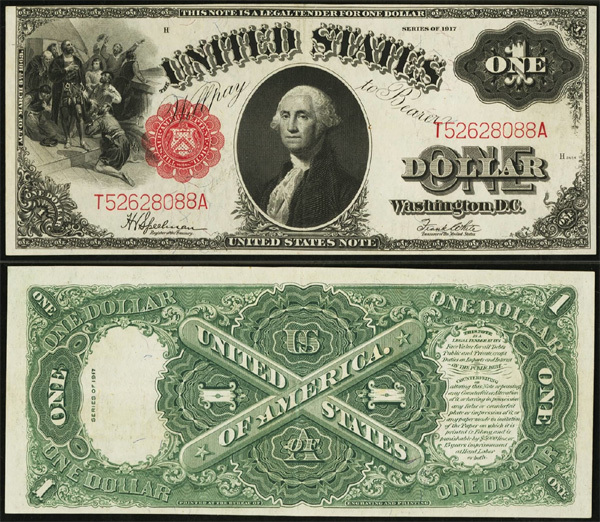 There were only two note designs for series 1917 Legal tenders. Both issues are common and available in all grades. Both notes were issued in replacement (star) note form so that is an additional way to collect these. The 1917 $1.00 bill is a colorful red seal featuring George Washington. 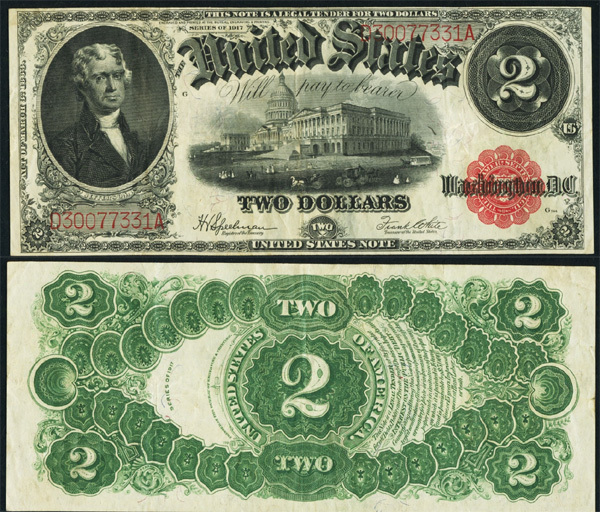 The 1917 $2.00 bill is an ornate note that features Thomas Jefferson. The 1917 $1.00 bill is in the top five most common large sized issues. They can be found in all grades and are a nice note to start collecting if you are on a budget. They can be found for as little as $20 and will sell for up to close to a grand in high grades. The 1917 $2.00 bill is super common with almost 10000 notes known to have survived. They are easy to find in all grades. There are some issues that are harder to find than others, for example, the Elliot White signed star note is the toughest note in the series with only 32 known. If a high grade example of that note were to show up it would be the best note in the series.